Okay so this doesn’t fall under the traditional category of a “must have” or “essential item,” but this is one of those “must have Extra items.” We’ve all had a scare or two during our pregnancies, and a handy little item like this could easily get you through it. Listening to your baby’s heart beat for some reason just calms you down. You instantly feel better that your baby is okay and your stress level instantly lowers. Not only is it good for those scary moments, it just fun for the two of you to listen to the baby’s heartbeat when ever you want. I remember going to the hospital and hearing the baby’s heartbeat, both me and my husband just melted and I think it started us on our journey of being parents, it was somehow more real. I don’t know if anyone else had that kind of experience, but in that moment, things changed, for both of us. And I really saw the change in my husband, it was amazing. So to be able to have that experience when ever you want it really amazing. Technology really has come a long way. To be able to have a baby heartbeat monitor at home, that you can use when ever you want is a modern marvel in my eyes. Even if you don’t pick up this model I would recommend one of these things for anyone expecting. They’re an amazing little extra to have. I choose this one because the reviews are great and the price seems very reasonable. Some of the others had very mixed reviews and were really hit and miss. Even if you know someone expecting this would be the gift to give. Anyone would appreciate this kind of gift. You’ll be the hit of the baby shower. Essential Item? No, BUT Very Cool Nonetheless. Okay so, this doesn't fall under the essential item category, but It is a very cool extra. You can hear your baby's heartbeat when ever you want throughout your pregnancy. It's a bit touchy, but I think it just depends how your baby is situated in your tummy at that time. This is an All-in-one set of Home Use Heartbeat Listener that allows you to hear your baby's sounds like kicks, movement and heartbeat. Compact, Easy to Use and Lightweight. 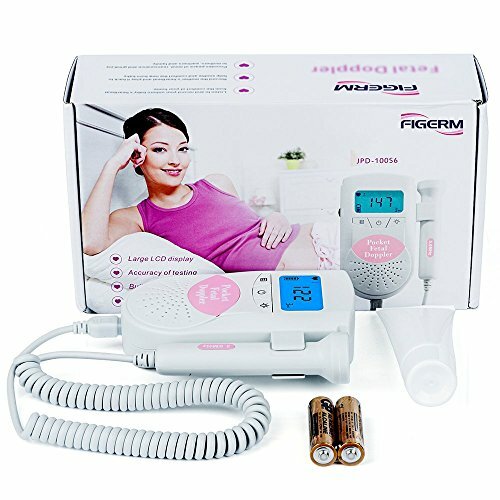 Better to use from the 14-16th weeks of pregnancy.Package Includes: Sound listener, 2pcs Batteries, Manual, Free GEL Note: This is only a home use sound listening device to hear the sounds your unborn baby makes. It is NOT for medical treatment and should not be used as a substitute for regular prenatal care by a licensed doctor. Consult your doctor prior to using.